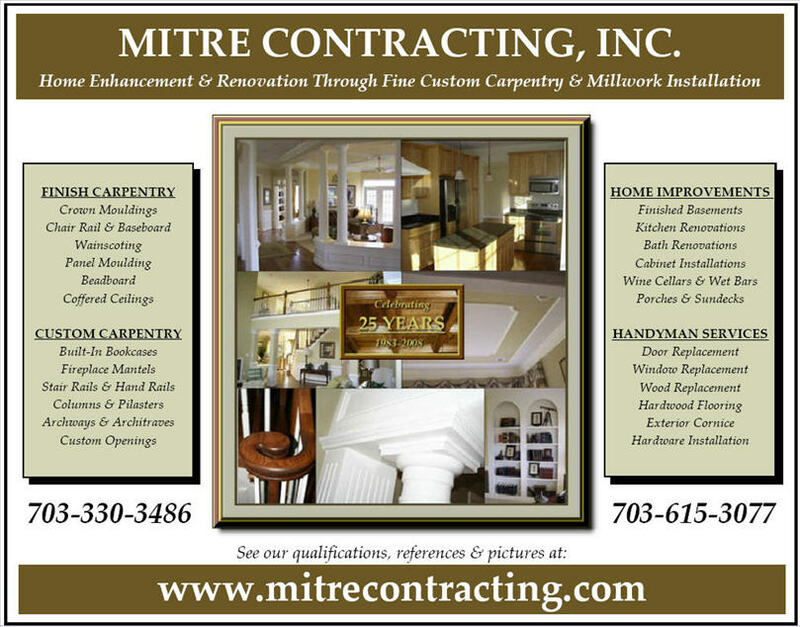 Fireplace Surround Moldings and Built-In Cabinetry - MITRE CONTRACTING, INC. Here we feature a renovated fireplace mantel and set of built-ins. We needed to make room for a large flat screen television above the mantel, update the dark oak cabinetry, and just put a more modern look to the whole area. We modified the existing 12" deep bookcase to have base cabinetry with raised panel doors, roll out trays for dvd storage, and a painted finish. Also we removed the existing mantel, and fabricated a new fireplace surround that incorporates fluted pilasters with recessed panels, a recessed panel detail where the flat screen will be mounted, a boxed mantel shelf with crown mouldings, etc. If you would like to update or add a new mantel, fireplace surround, some built-in cabinetry, or just mouldings, please give us a call anytime. We will be more than glad to come by, discuss your project, make suggestions and provide a detailed written proposal... no pressure included.